The first 2016 U.S. Presidential debate ended up attracting 84 million viewers. Compare that to Super Bowl 50, which glued 111.9 million viewers to the TV. (That was the Carolina Panthers versus the Denver Broncos one.) The reunion episodes of “The Real Housewives of New York” averaged some 2 million viewers. How am I, the queen of mathematical anxiety, pulling these numbers? The Nielsen Company, of course. You’ve heard of Nielsen. It’s the company that’s been tracking what people watch, listen to and buy since 1923. Nearly 100 years later, the company’s still thriving — and, even better, it’s hiring tons of field representatives across the U.S. This isn’t your typical work-from-your-home-office gig. As a Nielsen field service representative, you’ll visit and manage Nielsen households near you. Basically, Nielsen pays panel members to be tracked. But it’s not that creepy. The company just wants to know what your consumer behavior is like — what TV shows you watch, what’s in your fridge and what apps you use on your phone. That’s how the company manages to pop out ratings. This is where field service representatives come in. You don’t have to be tracked, but you do have to work with the families and households who are. As a field service rep, you’ll make home visits to install, maintain, troubleshoot and demonstrate the equipment. Be nice, because you’ll need to build relationships and collect and report demographics and audience analytics. You should be comfortable chatting it up — maybe even sometimes turning into an impromptu salesperson when needed. Why Work for The Nielsen Company? The perks are pretty sweet. You’ll be required to spend three weeks training in Tampa, Florida (of five weeks total). But wait, you naysayers. The training is paid, and housing and transportation (flights, too!) are provided. Once that’s over, you’ll return home, where you don’t have to report to an office, and you’ll work flexible hours — including evening hours and weekends. You’ll also get a company car (totally feeling like Oprah right now) with insurance, gas and maintenance included. Even more: Your comprehensive benefits package goes into effect your first day and includes medical, dental and vision insurance — plus a 401(k). You’ll also get a laptop and mobile phone and all the required techy things. Oh, and compensation starts at $36,400 with monthly bonuses if you’re doing a good job. Am I Qualified to Get This Job — and Those Insane Benefits? You’ll need some past experience in market research, social services or commissioned sales positions. A bachelor’s degree — in anything — is preferred but not required, though a high school diploma is. You should also have a valid driver’s license. Want more flexible job opportunities? Visit our Facebook jobs page. 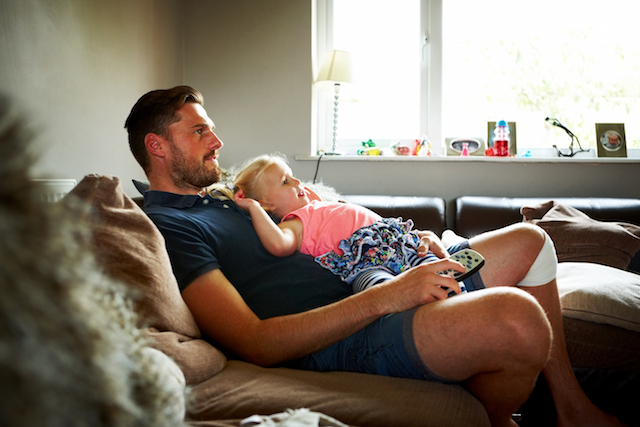 Your Turn: Have you ever had your TV watching habits tracked by the Nielsen Company?